♥ I Love Lucy DigiArt Designs ♥: Elegance by RabidBunny EXTRAS! I was lucky to play with RabidBunny's new PTU kit, Old Tyme Elegance, which you can find out more about HERE! It's a gorgeous, calming kit and has tons of elements in it that just all go so well together! I used art by one of my favorite artists, Alex Prihodko. 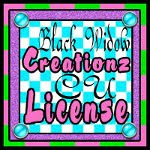 His work is available at Pics for Design, click HERE to check out all his tubes for sale! You need to have a PFD license number in order to buy/use tubes made by him.